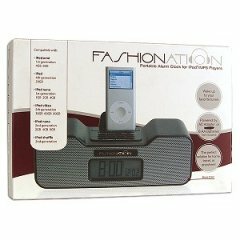 Wake up to your favorite tunes with this Fashionation FN-CR8010 Portable Alarm Clock Radio for iPod! 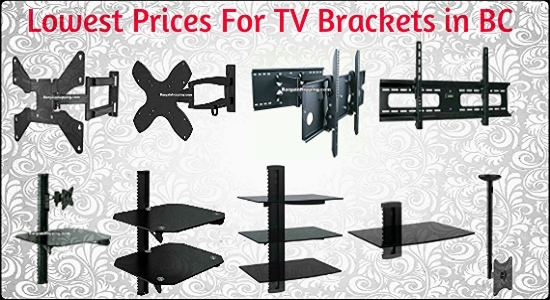 Perfect for home, travel or anywhere! This Fashionation FN-CR8010 charges and plays your iPod while docked and is compatible with all iPods including mini, nano, video and shuffle! 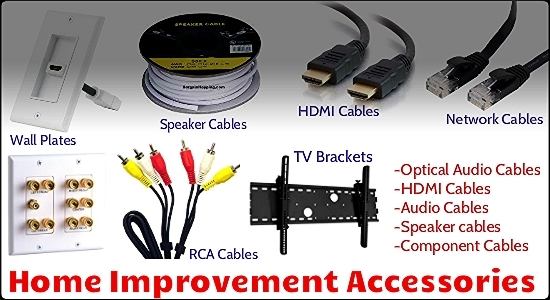 Its built-in speakers delivers high quality stereo sound! This portable alarm clock features an FM radio, snooze control, blue backlight LCD display and calendar with day, month and time. 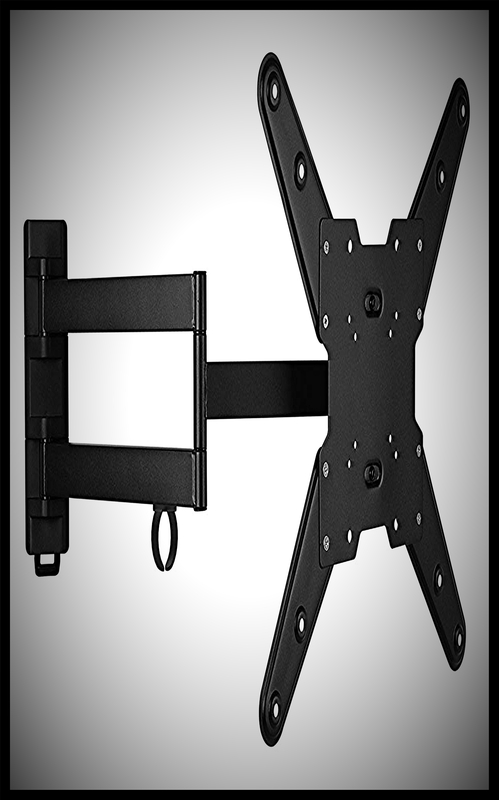 Wake up to either your iPod, radio, or buzzer. 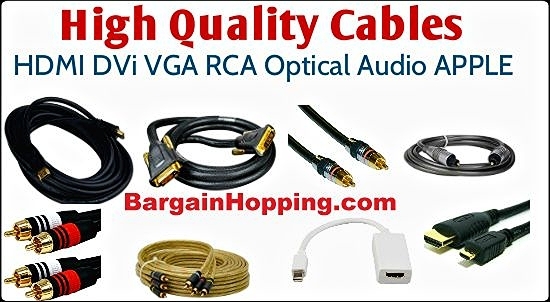 Plus, it includes cable for your MP3 or CD player! 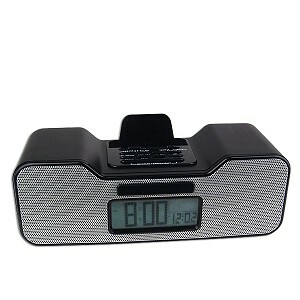 Take your iPod to bed with you with this Fashionation FN-CR8010 Portable Alarm Clock Radio!